But when I run, I sometimes listen to music. Most of my “Running Music” playlist is up tempo Southern Gospel. I happen to like Southern Gospel music. I like multi-part harmony and antiphonal songs. I like actual singing (as opposed to the breathy moaning so popular in vocal music today). And I like the fact that I can pick just about any Southern Gospel song at random and know I’m going to hear clear and specific references to Jesus, the cross, sin, repentance, the Bible, and Heaven. None of these veiled allusions to something that might be biblical. Nothing that could be confused for a love song to the lyricist’s girlfriend. I like my gospel unmistakable. I also choose Southern Gospel because it’s easy to find up tempo songs. I tend to match my running pace to the beat of the music, so slow songs aren’t going to cut it. I’ve tried finding upbeat, doctrinally sound contemporary worship songs with little success. So here are a few favorites I run to. What are you listening to these days? Have you ever had to look for a new church? Even with recommendations from godly friends, it can be hard to know which churches and pastors are doctrinally sound, and, of those doctrinally sound churches (because you certainly don’t want to go to one that isn’t doctrinally sound), which ones would be a good fit for your family. There are lots of great articles out there with good, probing questions you should ask about the theology and doctrine of a church you’re considering. (I would recommend this one, this one, and this one. Also, make sure you understand these doctrinal issues and that the church you’re considering lines up with Scripture on these issues.) However, there are times when the answers to these types of questions don’t give you the whole picture of what is actually going on in a church on a day to day basis. In other words, sorry to say, a church can give you all the right answers on paper (or on their web site), but their practices don’t mirror those answers. Additionally, there are some non-doctrinal issues that are important to know about that questions about soteriology, baptism, biblical inerrancy, etc., won’t give you the answers to. My husband and I are currently looking for a new church for our family. Since we are Southern Baptist and somewhat familiar with the handful of Southern Baptist churches we’re looking at, we already know the answers to the most important questions (the inspiration of Scripture, the divinity of Christ, the way of salvation, etc.) But I want to zoom in a little more on the finer points of belief and practices of these churches, so here are some questions I might ask the pastor of the church we would potentially join. 1. Which Christian authors have had the biggest impact on your life, beliefs, and ministry? When I ask this question (and look over the pastor’s shoulder at the titles on his bookshelf), I’m listening for the names of authors and pastors, living or dead, that I know are committed to sound biblical doctrine. If I hear a name like Joyce Meyer, TD Jakes, Andy Stanley, Steven Furtick, Perry Noble, Rick Warren, Beth Moore, or any Word of Faith or New Apostolic Reformation personality, I’m going back to ask more probing doctrinal questions. If I hear multiple names like those, I’m outta there. 2. Are you/this church complementarian or egalitarian? Now you may not be familiar with those terms but any Christian pastor should be. It is a current issue in evangelicalism, and it’s part of his job to stay abreast of such things. I’m not looking for a pastor to be an expert on this topic, but he should be familiar with the terms and have a working understanding of the issues at play as well as the applicable Scriptures, and he should embrace and practice complementarianism as the biblical position. Because I have been given the right “on paper” answer to this question in the past only to find out later that the church’s practices didn’t match up with its profession, I will probably ask the follow up question: “In what positions of leadership are women currently serving? Do any of them hold authority over men or instruct men in the Scriptures?” If I hear that women are (or would be allowed to in the future) teaching co-ed adult Sunday School classes, giving instruction during the worship service, serving on committees in which they hold biblically inappropriate authority over men, etc., that’s problematic. 3. Can you give me some examples, from any time during your career as a pastor, of church discipline issues that have arisen and how you have handled them? I’m looking for three things here. First, what does this pastor think constitutes a church discipline issue? If he thinks it’s necessary to discipline a female church member for wearing pants instead of a skirt, that’s an issue, because he’s disciplining someone who’s not sinning. If he doesn’t think it’s necessary to discipline church members who are unmarried yet cohabiting, that’s an issue because he’s not disciplining people who are sinning. 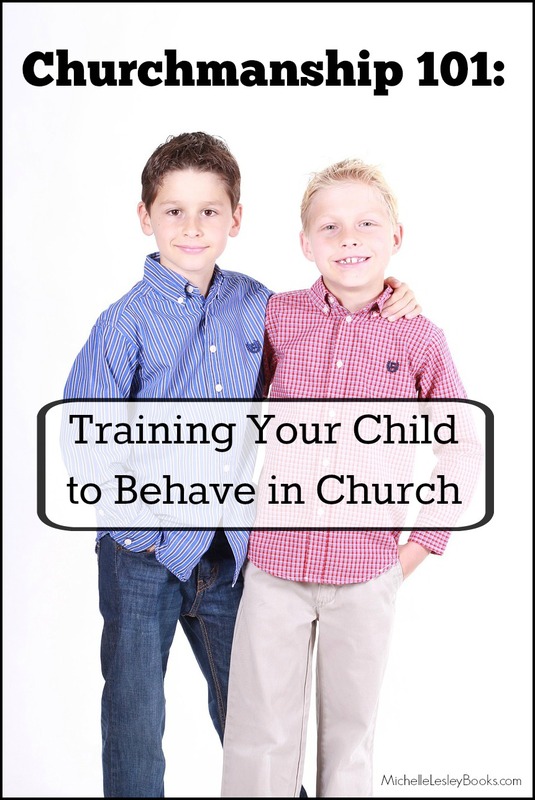 Church discipline should only be exercised over unrepentant sinful behavior. Second, is he afraid to exercise church discipline? Generally speaking, someone who has been a pastor for many years and has never handled a church discipline issue is either woefully ignorant of the biblical requirement of a pastor to rebuke those in sin, or he is afraid to rock the boat because he might get fired. Both of these are huge red flags. Third, how does he exercise church discipline? Does he follow the steps outlined in Matthew 18 and other Scriptures with a heart to see the church member repent and be reconciled to Christ and the church body? Is he harsh and condemning? Is he firm enough in his resolve to carry all the way through to disfellowshipping a church member if necessary? 4. How much oversight do you (or an associate pastor or elder) have over the women’s ministry at this church? With this question, I’m trying to find out how much the pastor knows about what’s actually going on inside the women’s ministry (if they have one) and how much responsibility he takes to make sure all teaching and activities are in line with Scripture. Does he research and approve all teaching materials before a women’s Bible study commences? Does a women’s ministry director have complete autonomy over all materials and activities? Are all of the women in leadership positions in the women’s ministry godly and spiritually mature? Would any of the women’s ministry leadership raise a stink if someone showed them from Scripture that a Bible teacher whose materials they use or a women’s ministry activity they enjoy is unbiblical? 5. Does the music ministry at this church follow a minister of music model or a concert model? There’s nothing wrong with Christian concerts per se, but my husband and I feel strongly (notice, I did not say “the Bible says”) that the worship service is not the place for one. We believe that a minister of music, preferably one who is ordained to the ministry, should lead and take responsibility for the church’s worship in a pastoral role. He should be trained in the Scriptures, preferably at seminary, in order to rightly handle and apply them to the music portion of the worship service and other music programs. He should also be trained in music theory and conducting so that he is able to lead in the practical aspects of music. This is not about contemporary music versus hymns, it is about one worship model versus another. It is our conviction (again, not a biblical mandate, but our strongly held conviction) after more than two decades in music ministry ourselves, that the minister of music model – regardless of the genre of worship music used – is the one most conducive to strong, biblical congregational worship. So this is something we’re going to want to know about, even though it is not necessarily a doctrinal issue. 6. 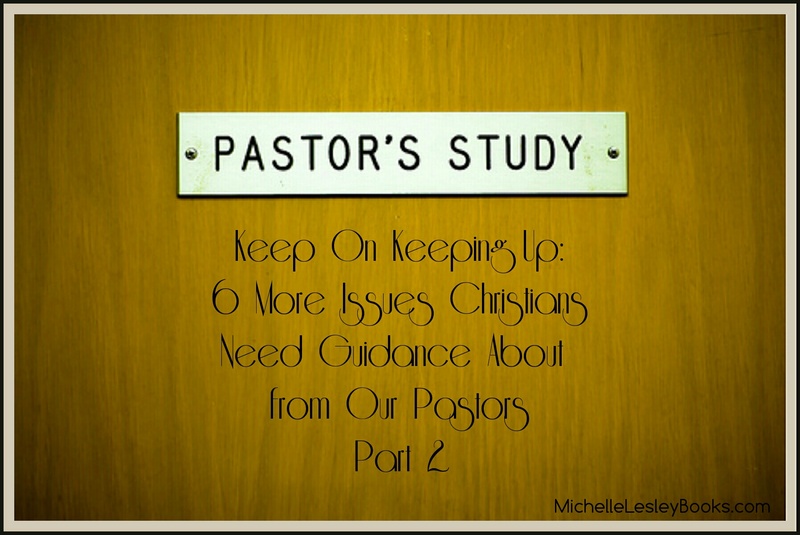 Do you preach topically or expositorily or both? Topical preaching is when the pastor selects a topic to preach on (parenting, money, etc.) and uses biblical passages that apply to that topic to form his sermon. Pastors who preach expositorily usually preach through a book of the Bible from beginning to end before moving on to the next book. Both are valid forms of preaching as long as God’s word is rightly handled and applied. However, it has been my experience that pastors who preach exclusively topically have more of a tendency to lift Bible verses out of their context in order to make them fit the topic they’re preaching. This is usually not as much of an issue for pastors who preach expositorily because they are simply preaching the Word, verse by verse, in its context. Additionally, expository preaching gives church members a better understanding of Scripture and how it fits together, and exposes them more thoroughly to a wider range of biblical truth than exclusively topical preaching does. Therefore, I am looking for a pastor whose preaching style leans mostly towards expository, but who isn’t afraid to preach topically if he believes the church needs instruction on a certain topic. So, those are some of the questions I’m thinking about asking. 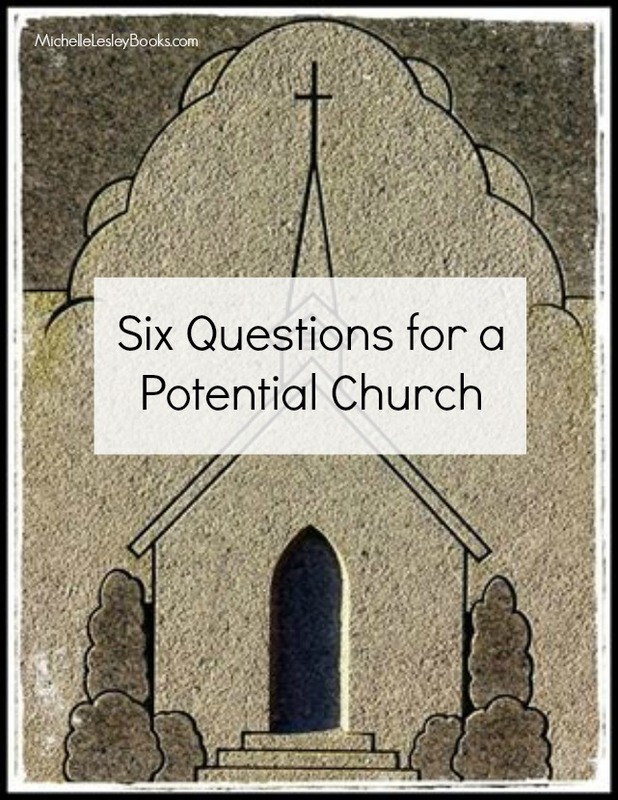 What questions would you ask when considering a new church? So, the appropriate time comes on Monday evening, and you drive over to her house. The door is standing open because she is expecting you, and you’re familiar enough with each other that you feel comfortable just walking on in. Anything seem a little off about that? Well, of course that seems strange. It’s her house. But that’s what is taking place in churches all over America every Sunday morning. I saw it in a televised local church service last week. The worship leader stood up to lead the first song and said, “God we welcome you into this place!” I’ve heard others say things like, “Lord, we invite you into this house this morning!” We sing songs like Holy Spirit, Thou art Welcome and Lord, we Invite You. ‘Scuse me? Isn’t the church God’s house? Of course, it isn’t God’s house in the same way the temple was God’s house, in that there isn’t a holy of holies where the actual presence of God resides. On the other hand, I wouldn’t go so far as to say that it’s only a building, like the post office or a doughnut shop. At some point, way back when, or maybe even recently, a body of Believers got together and asked God to give them a place where they could worship Him. God saw fit to answer that prayer. He provided the land, the permits, and every brick, nail, and piece of sheetrock. He allowed His name to be placed there when we decided to call it “Grace Fellowship”, “St. Luke’s”, or “First Baptist”. He protects that building and allows it to stand as a testimony to the community: God, and God’s people, can be found here. It’s not your church. It’s not my church. It’s God’s church. And it exists for His glory. But somewhere along the way, we’ve forgotten that. Somewhere along the way, we gave God an eviction notice and became squatters on His property. How arrogant have we become that we strut into church as though we own the place, and dare to invite Him, to welcome Him into His own house as though He were a guest? How dare we? When it’s my church, my comfort, my pew, my ministry that nobody else better touch, my style of music, my opinion about how long the sermon should be, my feelings that got hurt, my idea of how things should operate, what I got out of the service, are we really gathering in His name? Welcome, Lord. Are You sure You want to come in? Do we expect too much from God? Is that even possible? You see, I’m not talking about expecting something and God being unable to deliver it. That’s just plain silly when talking about our omnipotent God. 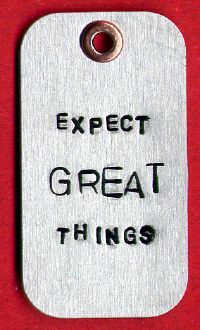 No, what I’m talking about is whether or not the expectations we come up with are grounded in biblical reality. What do we mean when we talk about “praying expectantly” or coming to a time of corporate worship, study, or prayer, and “expecting God to do something”? Just what is it we are expecting God to do? Could it be that He’s already doing something and we’re just not seeing it? Sometimes, when we read God’s word, we expect God to do something just as “big” as He did in Moses’, Paul’s, or some other Bible hero’s life. We forget that the Bible is sort of like a “highlight reel” of the events in the lives of a handful of people that God drafted to be part of His visible activity at that moment in history. We focus on the moments Moses had at the burning bush or walking through the Red Sea, and that’s what we want, too. But we forget that Moses’ life wasn’t like that every day. We forget about the eighty years he spent wandering around the desert, half in the day to day monotony of shepherding on the back side of Midian, the other half, wandering around the wilderness with the people of Israel. Eighty years of nothing special. Day after day of ordinary. Week after week of God not “showing up” and doing something amazing. Eighty years. That’s a lifetime for most of us. 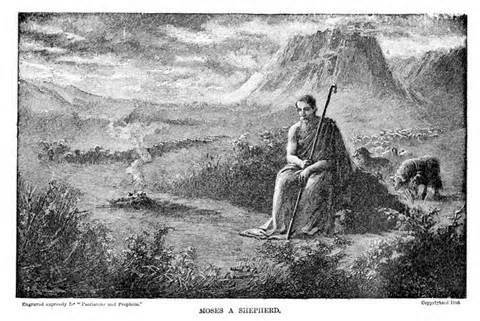 Was God any less at work in Moses’ eighty years of desert wandering than He was when He gave Moses the Law or spoke to him face to face or sent manna? Of course not. 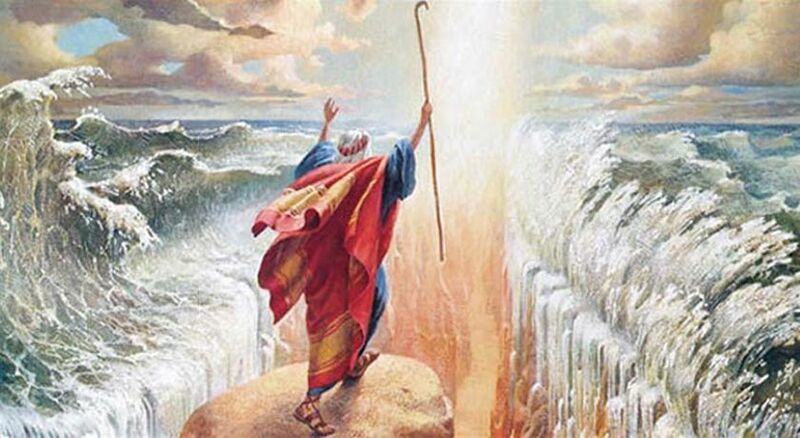 During those days, God was protecting Moses from the heat and wild animals, providing food and shelter for him, blessing him with a wife and children, directing his steps, teaching him obedience and trust. Have you read a Bible passage this week that allowed you to see more of God’s glory? God is doing something. He’s revealing Himself to you. Are you praying for someone’s salvation? God is doing something. He’s working on the heart of that person. Did you have a place to sleep last night and food on your table today? God is doing something. He’s providing for your needs. Do you leave church on Sundays having been fed the truth of God’s word by your pastor? God is doing something. He’s growing you to spiritual maturity. Is it possible that we’re expecting God to do something in our lives that isn’t in His particular plan for us? You aren’t Moses, and neither am I. Neither were the million or so other Israelites Moses led out of Egypt, and neither have the billions of other people been who have inhabited earth since Creation. Moses was Moses. You are you. God doesn’t have the same plan for your life He had for Moses’ life. And, by the way, have you ever noticed that most of the people in the Bible through whom God did something “big” were not expecting it or asking for it? Moses wasn’t expecting God to show up in that burning bush. David wasn’t asking God to do great things in his life when Samuel dropped by to anoint him as the next king. Both of them were hanging out with the sheep when God called them. Paul thought he was already an awesome servant of God when he got knocked off his high horse. Mary wasn’t expecting to be expecting. She was just a teenage girl growing up and learning how to run a household. But we urge you, brothers to do this more and more, and to aspire to live quietly, and to mind your own affairs, and to work with your hands, as we instructed you, so that you may walk properly before outsiders and be dependent on no one. That’s what all of those Bible characters were doing when God chose them. Just regular people living regular lives doing regular work. Just like billions of other people through whom God has not chosen to do anything big and spectacular. But that doesn’t mean God hasn’t been “doing something” in all of our lives. 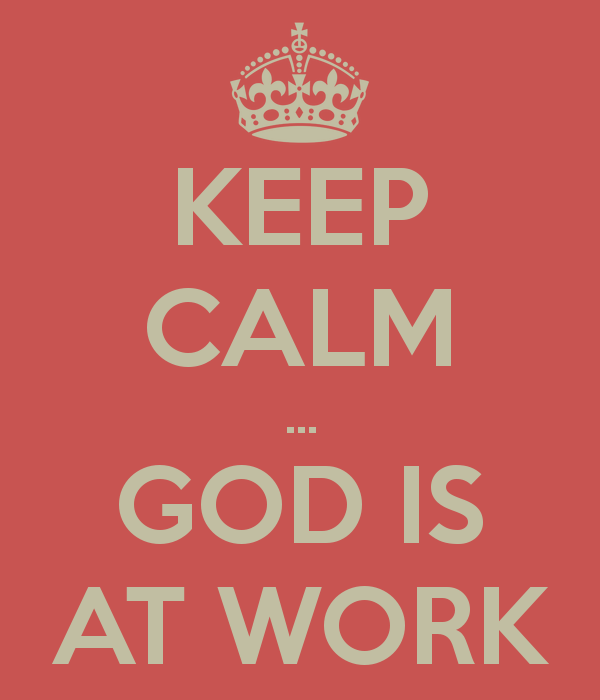 In fact, the vast majority of the work God does in our lives every single day goes unnoticed and unappreciated. Because “all the promises of God find their Yes in him.” You can expect it. I’ve been married to a minister of music for over 20 years. My husband has served at many different churches in a variety of capacities: on staff, interim, supply, revivals, conferences, retreats, etc. Over those 20+ years and in those various capacities, I’ve observed a number of things about him, pastors, church musicians, and congregations from a unique vantage point. Now, with a little help and a lot of input from a few sister minister of music’s wives, it’s true confessions time. Time for us to tell all, here in Part 2 of Real Ministers of Music’s Wives of Anychurch, U.S.A.
It’s a solo. Most of the songs we hear on the radio (especially contemporary ones) are written and performed as solos, and don’t work for congregational singing because: the timing is difficult for a large group to follow, there are too many spontaneous riffs and change ups, there are complicated and/or numerous bridges and tags that are difficult for large groups to follow, etc. Not every song works for large group singing. The lyrics contain faulty or watered down theology. The minister of music’s job is to lead us in worship. We can’t worship if we’re singing something that conflicts with God’s word or doesn’t focus on Him and His nature, character, and deeds. The accompanists aren’t comfortable with it. A lot of the songs people want to sing in the worship service can be difficult for pianists and other instrumentalists whose main experience is in other genres of music. While every musician should strive to improve his skills, the minister of music doesn’t want to put his accompanists on the spot if they’re uncomfortable with the technical requirements of the music. Your minister of music isn’t comfortable with it. If the minister of music is in his 60’s he may not feel he can carry off a top ten CCM song made popular by somebody in his 20’s, especially if he doesn’t have a worship band equal to the one we’re used to hearing on the radio. There’s no sheet music available. Or it’s not available in the right key or for the right instruments, etc. It’s “off limits”. Occasionally, and for various reasons, the pastor, elders, or others in leadership over the minister of music will make a decision that a certain song is not to be used in the worship service. Depending on the circumstances, there may not be a diplomatic way to explain this to people who love that song and want to sing it in church. Just by way of information, not every minister of music’s wife plays the piano. I’m one of them. Sorry. I wish I could. Regardless of how many pop stars got their start by singing in church, the purpose of the worship service is to worship God. There are many wonderful and talented soloists who, in humility and faithfulness, pour their hearts out to God in song at their local churches and do a great job of it. There are also a few divas on their way up the ladder looking for a stepping stone to greatness. Church isn’t American Idol. Find a karaoke bar. It’s always encouraging for a minister of music to hear that he did a great job with the choir or that you really worshiped this morning. It’s encouraging when a pastor mounts the platform for his sermon and says thank you, or I really liked that song, or refers back to/quotes one of the songs during his sermon. Little things like that go a long way, so offer your minister of music a word of encouragement when you can. Also, if your church participates in clergy appreciation month (usually the month of October), please don’t forget your minister of music, youth pastor, associate pastor, etc. They all work hard to shepherd you, and it doesn’t feel good to be left out. The worship wars (contemporary worship music vs. traditional hymns) are alive and well. Sometimes, rather than being a general in that war, our minister of music might just be a casualty of it. Everybody has particular genres of music that we’re most comfortable with. When a different style comes along, it can be jarring. It can cause angst. It can cause arguments. But when we worship God, our focus is not to be on what makes us happy or comfortable. Often, we get so concerned about whether the worship at church pleases or offends us that we don’t stop to think about whether it pleases or offends God. But that’s the main concern of the minister of music. Which songs, regardless of style, will be pleasing to the Lord and lead people into truth about Him? While he’s trying to do his best to sort this out week by week, he’s possibly being pulled in a variety of directions by a variety of people over style. How many people will leave the church if we sing more hymns than contemporary songs? How many people will stop giving in the offering if we sing more contemporary songs than hymns? Who’s going to accost me after church and complain? How will the pastor and elders react to this week’s order of service? It can be a lot of pressure and take his focus off of where it needs to be: what will be pleasing to God? Just as one man’s trash is another man’s treasure, the songs we don’t like might just be someone else’s favorite. What if we looked at singing the songs we don’t particularly like as a way to serve and encourage our brothers and sisters in the congregation who do like those songs? There’s no nice, sweet way to say this, so I’m just gonna throw it out there. Church members can sometimes be mean. I mean, mean. Let me hasten to add that most of the time, most church members are not. The majority of church members are kind, loving, supportive, and definitely appreciated by the pastor and staff. However, the others are definitely out there. I have seen church members treat pastors, ministers of music, and other church staff the way I wouldn’t treat a dog. There’s no excuse for that. The minister of music isn’t perfect. There may be times when he does something unbiblical or hurtful and at those times, it’s necessary for the appropriate person to talk with him, under the provisos of Matthew 18, about whatever is wrong. But there are other times when people get their feathers ruffled –even though the minister of music hasn’t done anything wrong or unbiblical—simply because their personal preferences haven’t been catered to. It’s OK to talk with our ministers of music about things, even personal preferences, but let’s do it in an encouraging and helpful way rather than a griping or attacking way. Screaming, threatening, name calling, constant complaints, and nasty anonymous notes and emails are never appropriate, and if that’s what is transpiring, then the problem is not with the minister of music it’s with the person who’s acting that way. If we know that a member of our church is acting that way towards anyone, pastor, staff, or layperson, we must intervene and be a catalyst for making things right. God calls us to encourage one another and build each other up, so let’s get at it! Let’s try to affirm our ministers of music (and pastors and other staff!) whenever we’re able! to be an encouragement to your minister of music? Singing is often the only opportunity church members have (besides the offering) to take an active role in worship. Let’s all take advantage of it! The music portion of the worship service is just that: worship and service, but sometimes we can slip into thinking of it as “filler time” before the “main event” of the sermon. If we’re spending the music time chatting with our friends, checking Facebook on our phones, knitting, or clipping our nails (sadly, yes, I’ve seen all of those happen) aren’t we robbing God and ourselves of the precious few hours per week we set aside for worship? Is it fair to God to spend the time we’re supposed to be worshiping on these kinds of distractions? God commands our worship and God deserves our worship. So, let’s give God our full attention and worship Him! R-E-S-P-E-C-T – find out what it means to your minister of music. The minister of music doesn’t just roll out of bed on Sunday morning, jump up on the platform, and wave his arms around for thirty minutes. He works hard during the week to plan a worship service that honors God and grows and trains the congregation spiritually. He often does so amid a number of challenges: the varied talents of his accompanists, a hymn request by the pastor or a church member, bugs in the sound system, musicians going out of town, the choir soloist getting the flu. He rehearses with the instrumentalists, the praise team, the choir, and others. When he stands in front of us to lead the music, he deserves the same respect we give the pastor when he preaches or a teacher imparting knowledge or someone at work who’s making a presentation: our attention. We can see you out there. It is incredibly encouraging to see people who are focused on Christ and engaged with Him as they’re worshiping. It’s obvious they’re communing with their Savior and thinking about Him as they sing. It makes the minister of music feel like he’s been successful in helping them connect with the Lord in worship. 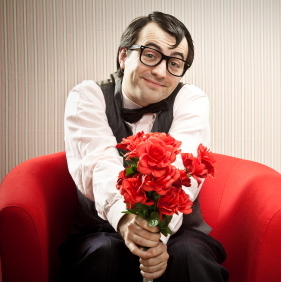 On the other hand, it’s very discouraging to see people with their hands stuffed in their pockets, not singing, or, conversely, mindlessly rattling off lyrics, and with a countenance that says, “I’d rather be at the dentist.” I once saw a televised worship service where the congregation was singing the hymn, “All that Thrills My Soul is Jesus.” It would be difficult to describe just how unthrilled most of them looked. The word “corpses” comes to mind. Jesus said to love the Lord with all our heart, soul, mind, and strength. When we engage all four of those areas in worship, we’re not just pleasing Him by our obedience, He’s growing us into stronger, more mature Believers. And that’s the best encouragement of all for our minister of music. We minister of music’s wives are blessed that our husbands have, for the most part, worked under pastors who are supportive and set a great example for their congregations. Pastors, you have an enormous influence on your congregation even when you’re not aware of it. And one area in which you may not be aware that church members are watching and emulating you, even when we’re not aware of it, is during the music portion of the worship service. Your congregation can see you during the worship time, whether you’re sitting on the stage or in a pew. What you convey with your own behavior about the importance of worship, we will absorb and reflect. If you are engaged and sing heartily to the Lord, we will get the message that you think God is worthy of all of our worship and we will follow suit. If you spend the worship time engaged in other activities, we will get the message that worship time is more like the coming attractions before a movie than a time to join in and commune with the Lord through what we sing. Additionally, when your congregation is actively engaged in worship, it gets our hearts prepared to soak up the message you have for us in your sermon. So, when you’re worshiping with gusto, you’re not only setting a great example, you’re also getting people right where you want them: ready to drink in God’s word! Part two of this article is on its way next week! minister of music or worship leader?